Cousin Harriet Ames was a spinster who lived in Burlington, Vermont with her widowed mother. She was the daughter of Old Oliver’s older brother, John Ames. Thus she was a niece of Old Oliver and first cousin to Oakes, Oliver Jr., Sarah Witherell and the rest of that generation of siblings. Moving down one more generation, she was a first cousin once-removed to Oakes Angier, Oliver (3), Frank Morton and Susan. It’s likely that Evelina wasn’t the only Ames to correspond with Cousin Harriet; her sisters-in-law Sarah Ames and Sarah Witherell probably wrote and received letters from Burlington as well. All three ladies would have corresponded by mail with distant friends and relatives. It was the way. Writing letters was how people kept up with one another. There was no telephone, and there certainly was nothing that resembled today’s digital and instantaneous communication. Telegraphs were only just coming on the scene; telegraph offices and wires would soon dot the countryside and lead the way west. Big wooden poles would be dug into the ground by men wielding – what else – shovels. In a decade or so hence, Oakes and Oliver Jr. would maintain an active communication by telegraph once Oakes went to Congress and both men became involved with the building of the Union Pacific. But they would all still write letters. Evelina wrote certain people regularly: Cousin Harriet in Vermont, Louisa Mower in Maine, and another friend named Pauline Dean. 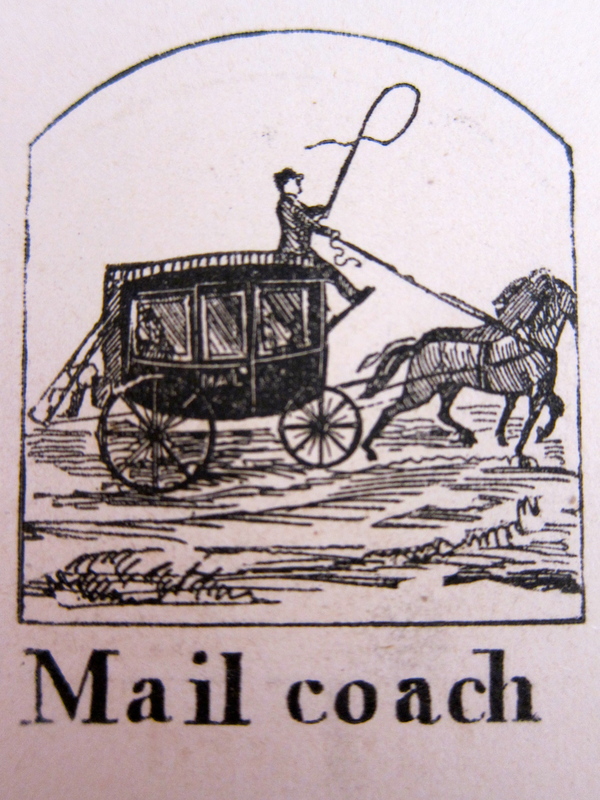 She must have been pleased when the mail coach came in, bringing letters to the little post office in North Easton, and taking them out to friends far away. It sounds as if Evelina’s normal routine was challenged today. 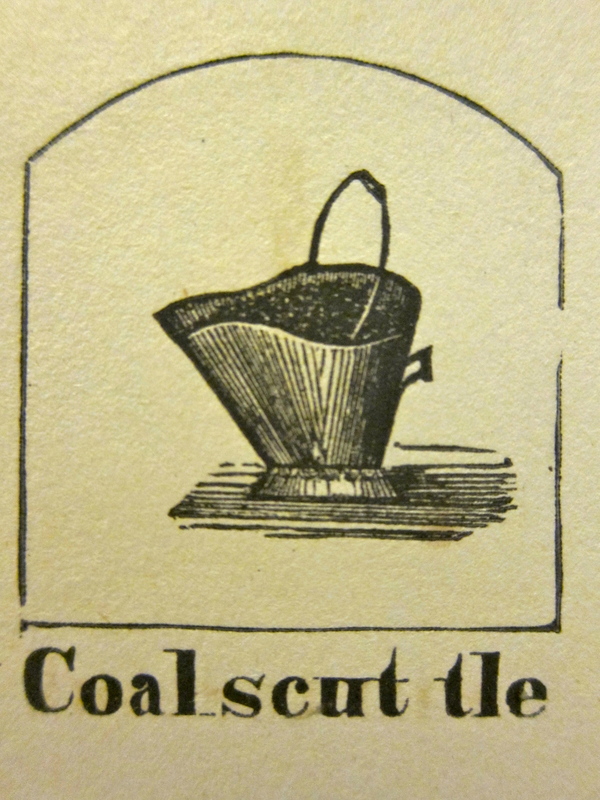 First, she had to struggle with the coal furnace, or stove, probably stoking it and trying to make it catch and hold. She was certainly familiar with “making” fires, but coal was not her strong suit. She had spent most of her life burning wood, and she didn’t manage the new furnace well. Second, her nephew Augustus came to call in the morning at a time of day when she was likely to still be working about the house. He was full of conversation about “matters & things,” probably filling her in on his move to Easton, his decision to leave teaching, and his hopes for the new boot and shoe factory he was setting up in the Lothrop Building. Evelina, fond aunt that she was, was no doubt interested in what Augustus had to relate, but the housewife in her was perhaps worried about not getting through her choring or not finishing the last of the ironing or not getting to the necessary mending while Augustus made his long visit. Happily, Orinthia Foss was around to help with some of the basic sweeping and dusting. In the afternoon, her housewifely pace seemed to settle down and she was able to pick up her sewing. She reworked an old shirt belonging to her husband, replacing the most worn areas with new pieces. A shirt that today we might throw out or put into the rag bag, she saved. No wonder Reverend Chaffin accused her of being “very economical.” She was, with no apologies. No apologies from her husband, either. Mr Whitwell called & brought home some books. very much since I saw her nearly two weeks since. Mrs.
Eighteen mincemeat pies! Hard to fathom a domestic pantry, pie safe or cold shelf that could hold 18 mince meat pies all at once, let alone an oven that would bake even half that number at one time. Cake, cookies, and bread, too. 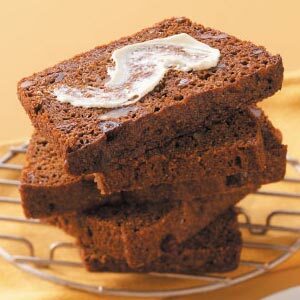 The brown bread that Evelina baked today was a staple of the New England kitchen, and was made from some combination of Indian (corn) meal and rye. While other geographic areas of the United States, like the south, the mid-Atlantic and the expanding west, had turned to wheat as their preferred grain for baking bread, Yankee housewives, “who valued and esteemed brown bread as the food of their Puritan ancestors,*” held to the familiar cornmeal and rye. So it was in Evelina’s kitchen. After she got away from the cook room, Evelina was visited by Reverend Whitwell who either borrowed some books from her or lent some to her – the passage is unclear. Both of their homes must have housed a collection of books, and borrowing and sharing was common. A decade or so earlier, Easton had boasted of two or three lending libraries but these institutions had pretty well ceased to operate. Other, better organized libraries would be formed later that century, but in 1851, if someone wanted a book to read, he or she borrowed it from a friend or bought the publication. In the neighborhood, Miss Eaton was still failing and now, under the same roof, Mrs. Wright, mother of Harriet Holmes, was believed to be dying, also. Neighbors were helping Mrs. Holmes with the care and feeding of the two invalids. a new one into an old shirt of Oakes Angiers. Very windy. Under some duress, the teenaged Helen Ames was taken to boarding school today, clearly not wishing to go. Her parents insisted and accompanied her to see her settled. Their stop in the city on the way home might have been a lift of spirits for a mother and father who had just driven away from a disconsolate child. 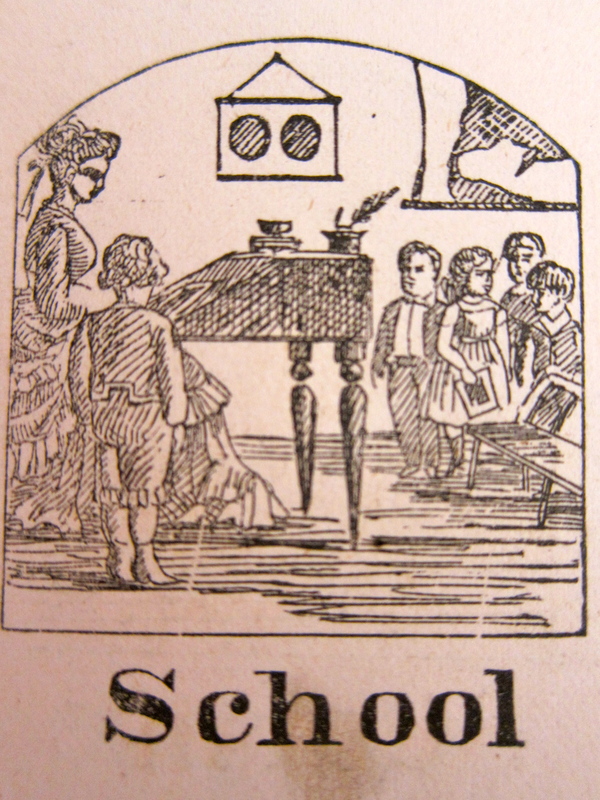 The children of both Oakes and Oliver Jr. each went away to school for a portion of their education. Oakes and Evelina’s boys had already gone and returned home; Susan still had her boarding school ahead of her. Oliver Jr. and Sarah’s two children, Fred and Helen, were at this stage both away at school. Oliver Jr. and Sarah were empty-nesters, to use a term they wouldn’t have recognized. They might have recognized the emotion, however. Strange to think of them in their separate house, just the two of them now, quiet, (although Sarah’s younger brother, Cyrus Lothrop, sometimes lived with them) while right next door in the old homestead lived a whole commotion of relatives. Schooling seemed to be the theme of the day. A Mr. Jennings and a Mr. Crommet called to see Orinthia Foss, presumably on matters of her employment as a schoolteacher. Does any reader out there know either of these names? His wife and son still living elsewhere – Bridgewater, perhaps – while he set up their rented lodgings in North Easton, Augustus Gilmore was staying temporarily with his aunt Evelina and her family. He would soon bring Hannah, who was expecting, and little Eddie to town. of my cough, although it is a great deal better. with Mr Bradford of Bridgewater. It is a lovely day. This was the second Sunday in a row that Evelina missed going to meeting. She stayed behind ostensibly to keep the new boarder company and to nurse the lingering cough that she admitted to herself was much better. Was she still avoiding certain people at church, or had she gotten past the Sewing Circle incident? Whatever her reasoning, she had a pleasant visit with young Orinthia Foss, the new schoolteacher. 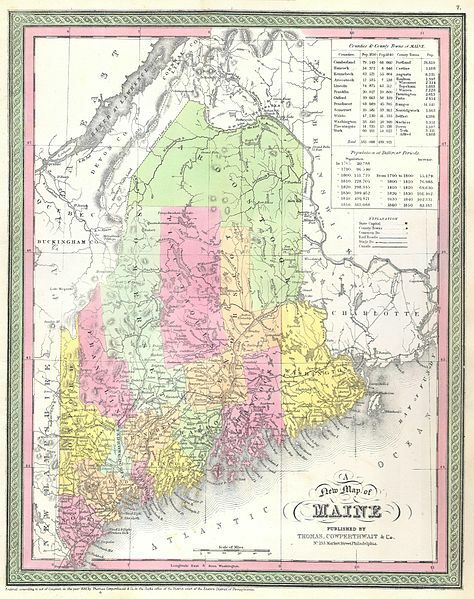 Orinthia seems to have hailed from the state of Maine, where the Ames family had vital business connections. The wooden handles of the Ames shovels came from Maine, where good wood like ash was still plentiful. Massachusetts, on the other hand, in 1850, was fairly well devoid of decent stands of hardwood after two centuries of settlement and development. Wood from Maine was a critical resource for the Ames enterprise and over the years, one or other of the Ames men made a periodic trip north to examine the supply and cultivate the connections. Oliver Jr., for instance, made a trip to Wayne, Maine, near Augusta, in the mid-1860s. On her journey to North Easton, Orinthia Foss spent a night with the Warren Mower family in Greene, Maine, a town near today’s Lewiston-Auburn area. Quite wooded, and close to the Androscoggin River as well. Mrs. Warren Mower was the former Louisa Jane Gilmore born in Leeds, Maine, in 1820. Was she a relative, perhaps? Evelina’s eldest brother, John Gilmore, lived in Leeds, having moved there from Easton in the 1840s. What was the connection? Whether or not they were related, Evelina and Louisa were clearly friends who corresponded regularly. has engaged Mr Wrightmans house for the present. Lavinia & myself passed this afternoon at Mr Torreys. Ames has been to Boston brought Susan Rubbers. In his journal today, Old Oliver noted that “It’s pretty muddy now,” which explains why Oakes Ames returned from Boston with overshoes, known as rubbers, for his daughter. 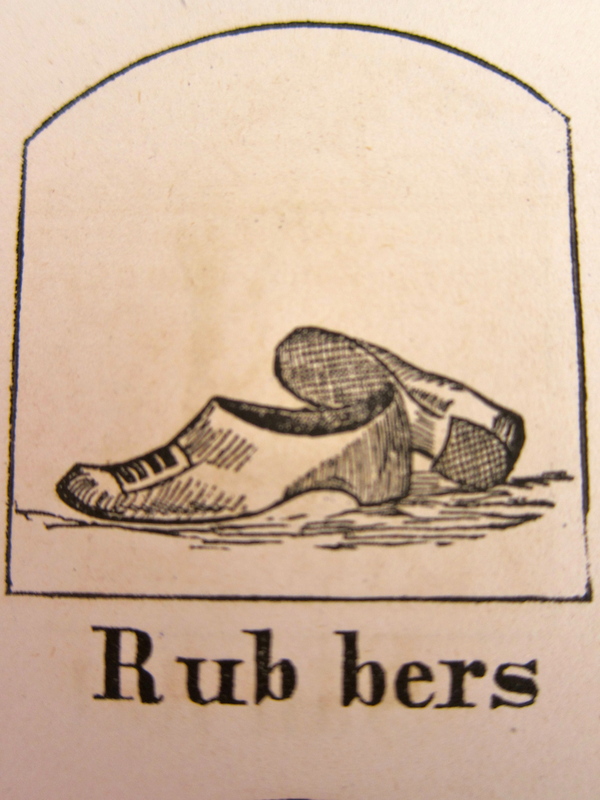 Probably everyone in the household donned rubbers during this late winter wetness. Evelina negotiated the streets just fine, it seems, as she and her niece traveled the short distance to the center of town to call at the company store and at her brother-in-law’s house. Their mutual nephew, Augustus Gilmore, had decided not to rent from Col. Torrey and would be settling his family instead at a Mr. Wrightman’s house. And at the end of the day, a new person entered the domestic scene. 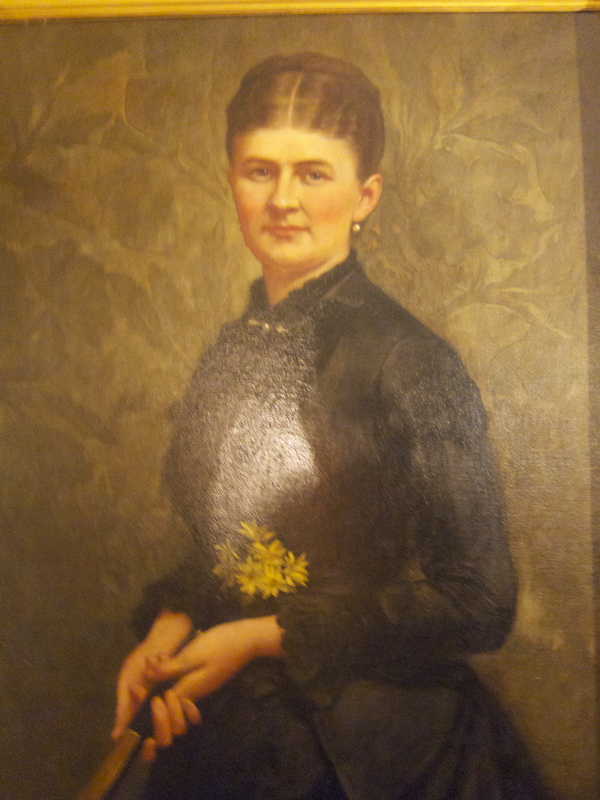 Miss Orinthia Foss, the new schoolteacher, arrived from Maine. February 22 is a date that people acknowledged in 1851 in a manner similar to the way people do in 2014, because it’s George Washington’s birthday. In this year of Evelina’s diary, President Washington had only been dead for a little over fifty years. People were alive who could still remember him; Old Oliver was one of them. Old Oliver was born in 1779, while the Revolutionary War was being fought. He was two years old when the British surrendered at Yorktown, and eight years old when representatives of the new states assembled in Philadelphia to write a constitution. George Washington was elected to head that convention and became the country’s first president in 1789, when Old Oliver turned ten. When Washington died in 1799, beloved and mourned, Old Oliver was a twenty-year old bachelor just making his way in the world. Much about that world would change over Old Oliver’s lifetime, but the reverence that citizens of the United States felt for their first leader would hold strong.